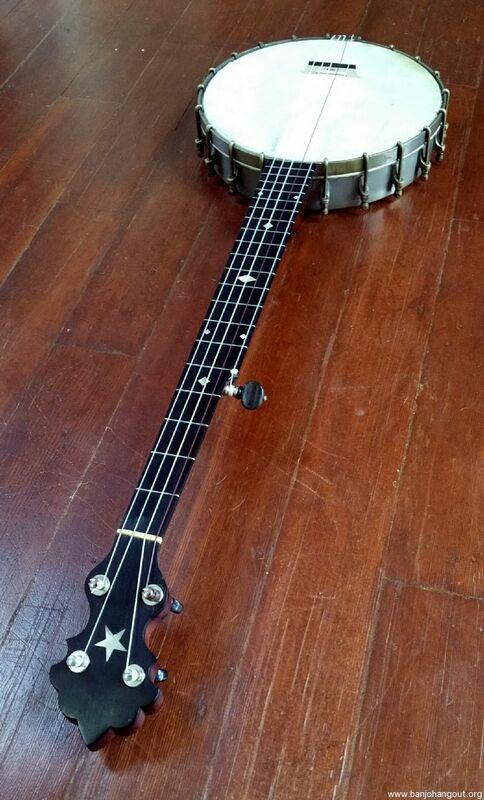 Selling my sweet, old, S.S. Stewart American Princess openback banjo. As much as I love how it looks and sounds, I find the neck width a bit narrow for me to play comfortably. 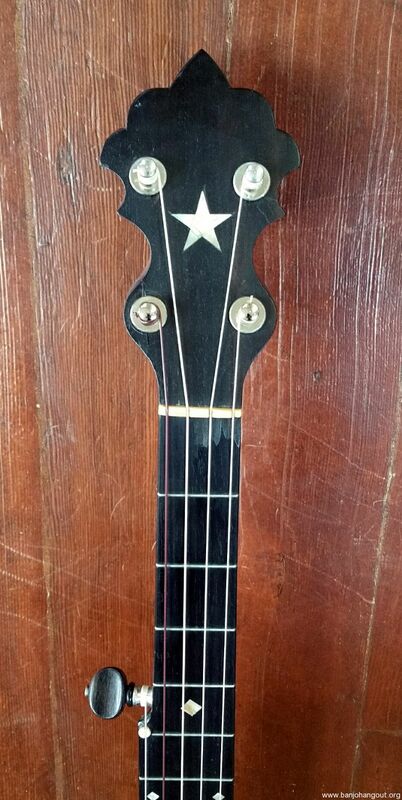 This is a small "Ladies Banjo" ( 1 3/16" nut, 10 1/8" rim, 24" scale length) about 125 years old. It is in great shape for its age, with upgraded tuners, skin head, No-Knot tailpiece, Grover bridge, Aquila Nylgut strings. There are some signs of wear and repair over its long life. There is a chip in the ebony(?) fretboard right by the nut. 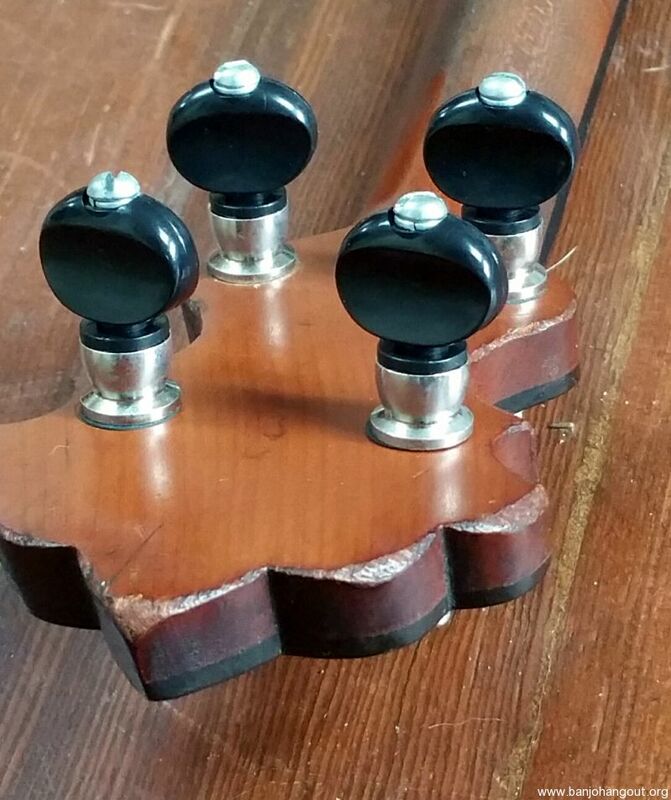 There is indication of repair on the headstock at the 4th string tuning peg which seems quite sound. 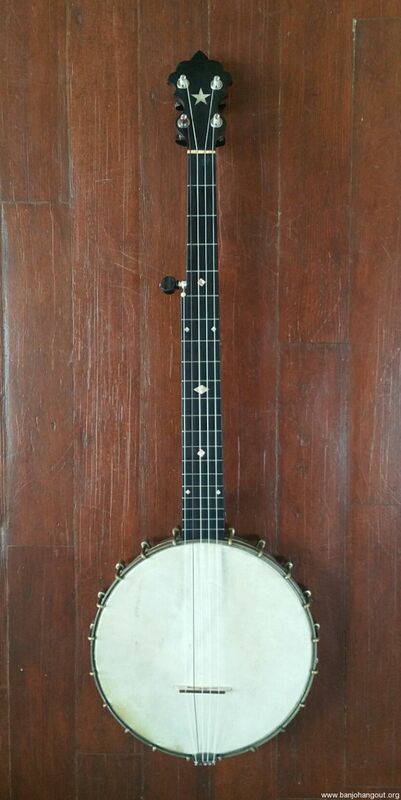 Other scuffs and scratches, but all consistent with this banjo's long life. Let me know have questions. Thanks!